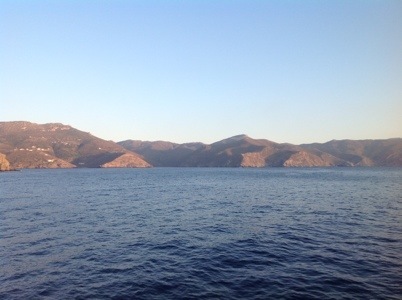 After a nice time on Naxos the research team that I’m shadowing split up between several different islands. 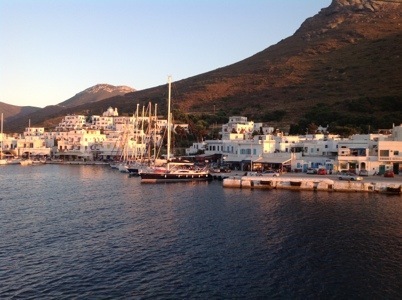 I traveled by ferry to Amorgos with three student researchers to assist in an invasive species project looking at the effects of rat eradication on these islands. 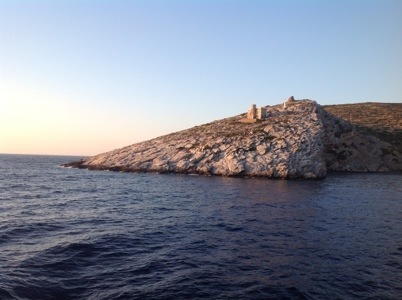 I was along mainly to see the lizards on these smaller islands in the Greek archipelago. 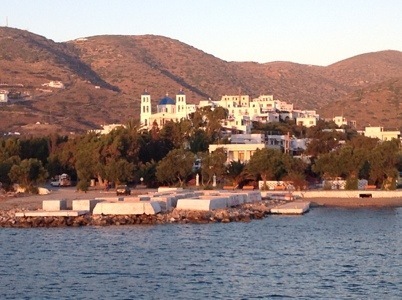 I spent Saturday morning packing and exploring Naxos. 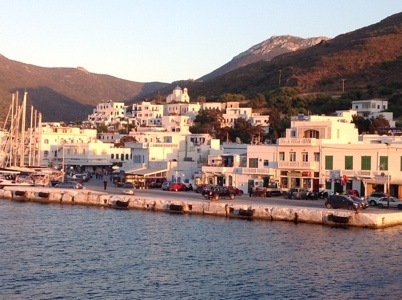 It’s a great island and the town we’re staying in, “Naxos town,” is beautiful. The streets are thin and winding and the entire city is built on a slope leading to a beautiful castle built by the Venetians centuries ago. I had a quick walk through the castle and the houses high on the hill and made it in plenty of time to catch the ferry to Amorgos. The ferry ride was a bit chilly. 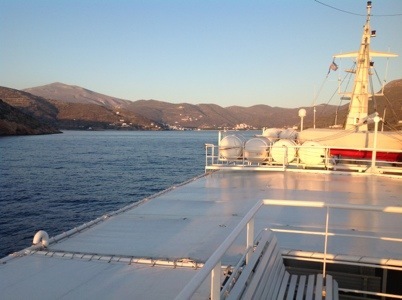 The sun was hot and beating down, but there was a very strong wind off the ocean so every time the ferry would go over a wave, the spray would fly over the top of the ferry and douse us- an impressive feat as we were on the third and top deck! The town we are staying in.